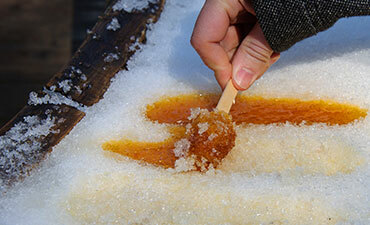 Try out local made maple syrup during from the local family farmers at White Meadow Farms. White Meadow Farms carries four grades of 100% Pure Maple Syrup. All their grades are crafted with the same care, are 100% pure and equally nutrient rich. The weather at the time of sap collection affects the nature of the sap, producing the syrups’ four distinct flavours.